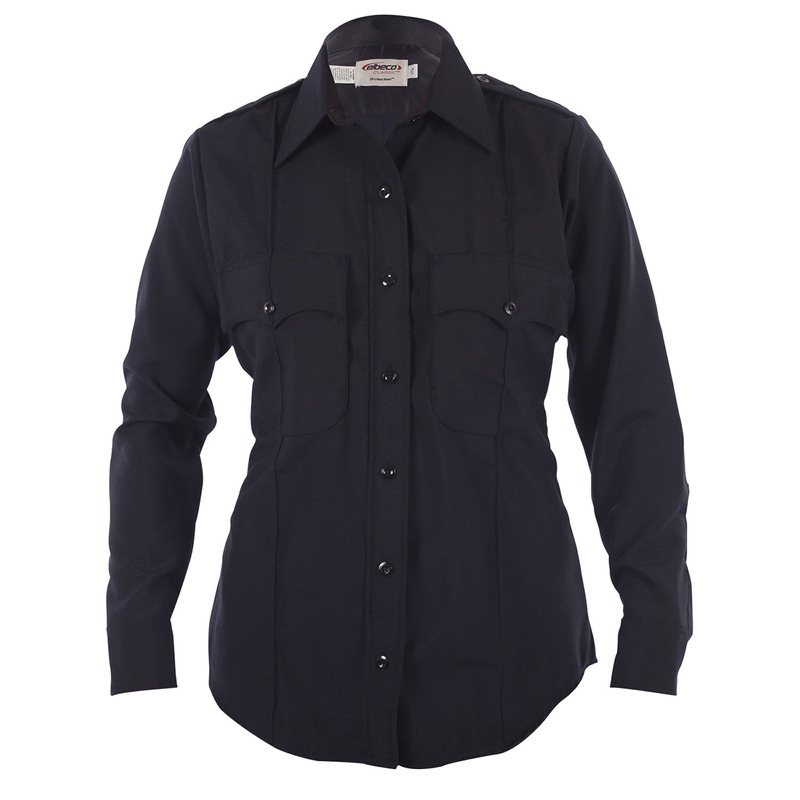 Distinctive design and modern function unite in this Class A uniform styled shirt from Elbeco. The West Coast Shirt is made from a combination of polyester and wool for a fabric fusion that will not disappoint. Polyester fibers provide a built-in resistance to abrasions, tears and shrinkage, while wool gives you the natural breathability that polyester lacks, as well as its low-maintenance, hypoallergenic, anti-static and wrinkle-resistant properties. This shirt also boasts a number of field-friendly features, such as a discreet zipper for an easy, tapered closure system; built-in utility compartments with hook-and-loop closure; and side seams that keep wires out of the way and invisible. Underarm vents increase your range of motion and body heat ventilation. Ladies Choice includes amazing features for women’s uniform apparel: Graded chest and waist dimension for flattering fit and increased movement; armhole and sleeve shaped for more comfortable fit and appearance; graded body length for less bulk; and Increased hip sweep to fit woman’s body shape.